It does, of course, as you will be aware, bear a striking resemblance to Lutyen's Cenotaph in London's Whitehall. 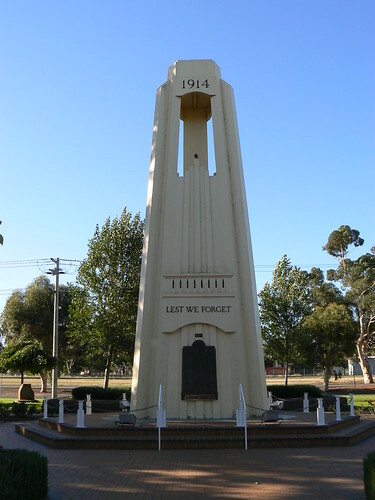 I think that is the nicest cenotaph I have ever seen. Jane & Lance - Yes I know Lutyen's Cenotaph in Whitehall and while I can see some similarities, the cenotaph in Griffith is taller and the gaps near the top give it a more elegant and lighter feel than Lutyen's. Of course it is about 20 years younger than Lutyen's, on the other side of the world in a rural town and built at the dawning of another global conflict so taste and attitudes would have been different. Andrew - It does have style, doesn't it. war memorials are a subject I come back to often. It seems a morbid topic but one well worth investigating - in Britain, Australia, India, New Zealand, France, South Africa, Canada and wherever soldiers came from. b] if they realised that the terrible deaths and wasted lives in the first 12 months of the 1939 war would be as grievous as in the last. Of course later losses could be memorialised on the original cenotaph, but it seems insensitive to be completing a structure for the last war when a new generation of parents, widows and orphans would be mourning their beautiful boys. Interesting questions both Helen. I too was surprised when I learn't that it hadn't been dedicated until 1940. Perhaps it had been planned for a long time and it took that long to raise the funds. For part b, I wonder how long it took to built. 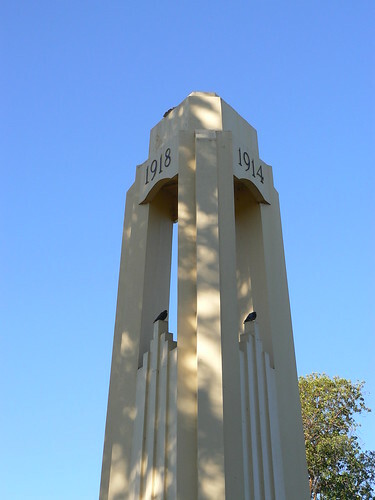 Perhaps in the late '30s with the war approaching Griffith decided to finally build their memorials. 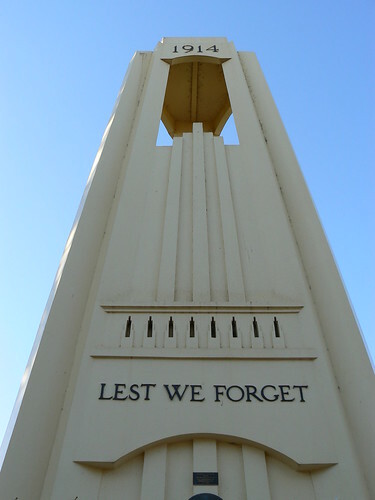 I've just looked up the Register of War Memorials in NSW. The memorial hall which is just about next door to the cenotaph was dedicated 30 Sept 1939 so I presume things were well underway before then. The memorial hall is a great Art Deco building which I'll post on my blog on day soon.